It is the responsibility of individual Practices to ensure the medical devices they use are checked regularly to ensure they are fully maintained and performing to industry regulations. At Photon Surgical Systems Ltd we are focused on providing our customers with the best products and services we can to meet their equipment requirements. We have an in-house team of highly experienced engineers who can respond quickly to breakdown calls and be on site within 24 hours when required. We offer a range of service contracts to suit every budget from a standard annual output & safety check on your x-ray generator to a fully comprehensive breakdown and service contract. 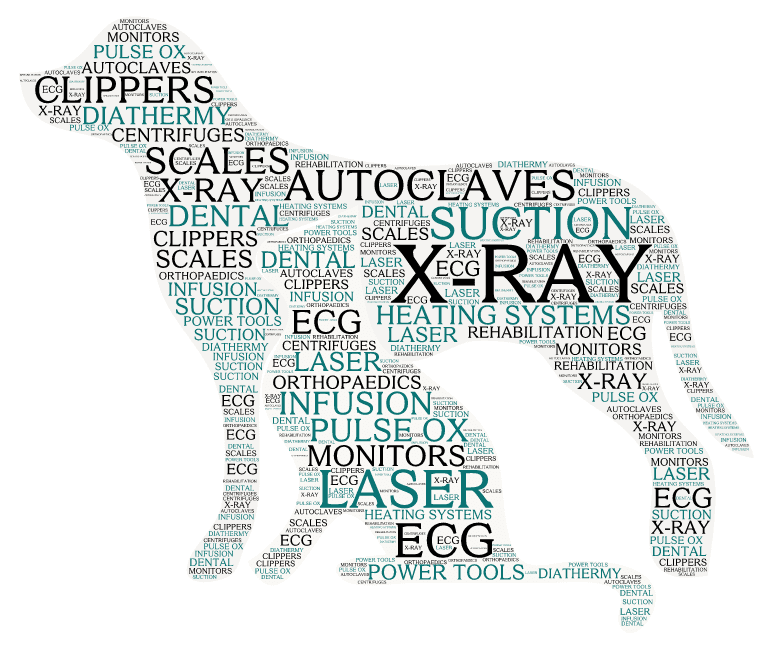 Our Engineers have a wealth of experience in the veterinary and medical servicing industry and have worked on many makes and models of machine, both current and discontinued. We keep a large stock of spare parts for a variety of machines in our workshop. It is essential to have your equipment serviced regularly. Regular servicing can highlight wear and tear and faults on your equipment before they become a major problem –saving you money. Planned Preventative Maintenance (PPM) is your best defence against the sudden failure of vital, frequently used equipment. A lot of the equipment we see in Practice today is of an age where the failure of components is likely unless routine maintenance is carried out. By regularly having your equipment serviced you are extending the life of your equipment and ensuring it is working to its full capacity. Service contracts not only give your equipment an annual service, it also entitles you to reduced rates for repairs and breakdowns, as well as discounts on consumables and accessories for the piece of equipment under contract. We can also provide free loan equipment as part of the service contract against a repair. Loan equipment will be similar or identical to the equipment you have on contract, with no daily hire charge and no carriage costs to the workshop – allowing you to carry on business as usual. Please note bespoke packages can be offered as required. For information on a level of agreement to suit your needs, please contact 01452 347101 during office hours. Whether you are on a service contract with us or not we also provide a comprehensive in-house repairs service for all your smaller items (pulse ox, monitors, centrifuges, etc.). Our in-house repairs team are all fully trained in providing technical advice, repairing, adapting and calibrating your equipment. For equipment that requires either a service or repair, if it is not on a contract we offer an Evaluation and Quotation service for £60 per item. Items need to be sent in for appraisal. If you accept our quote, the work is carried out, and the equipment returned to you with the £60 charge waived. Should the quote be declined, or the item beyond repair, the item is returned to you un-repaired, with the Evaluation and Quote free applied along with the delivery charge or, if you prefer, disposed of, with no delivery charge. We will Evaluate and Quote for all repairs sent to the workshop. The actual cost of the repair may vary dependent on the extent of the work that is required and the cost of any replacement parts used. Please ensure that any item you intend sending has been thoroughly decontaminated first. We reserve the right to return an item to you unrepaired if it is thought to be hazardous to the health of our employees. 3. Tell us about your equipment.